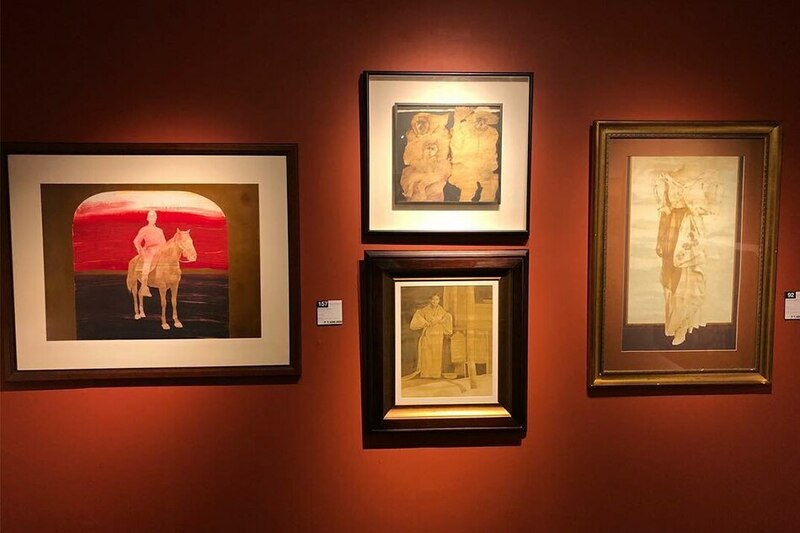 There was lukewarm response to the art and antiques, but the historical documents sparked excitement in the auction room. The auction is already underway when I arrive at León Gallery’s Eurovilla selling floor, and I realize it’s my first time in a long while to attend an auction since I left the industry and switched careers years ago. Seeing those bank of tables to the left of the lectern where the phone and online bids are taken brought me back to when I used to sit there myself, handling phone bids on behalf of clients who can’t be physically present. It’s an experience that is at once intense (keeping track of the flurry of bids can get confusing), exhilarating (you secretly cheer your client on hoping they’d win the lot), and definitely not for the faint of heart. It was a packed venue as expected, and Brian Hodgson, the British auctioneer and jolly good fellow who flies in from Hong Kong for Leon’s quarterly sales, is doing what he does best: skilfully coaxing the paddle holders to bid, bid, bid while also keeping a close eye on the phone and online bidders, guided by the help of so-called ‘spotters’ strategically stationed in key areas of the room. This he does with a mix of adroitness and humor as needed, even as the hours wear on, owing to his lengthy experience as auctioneer and public speaking coach. 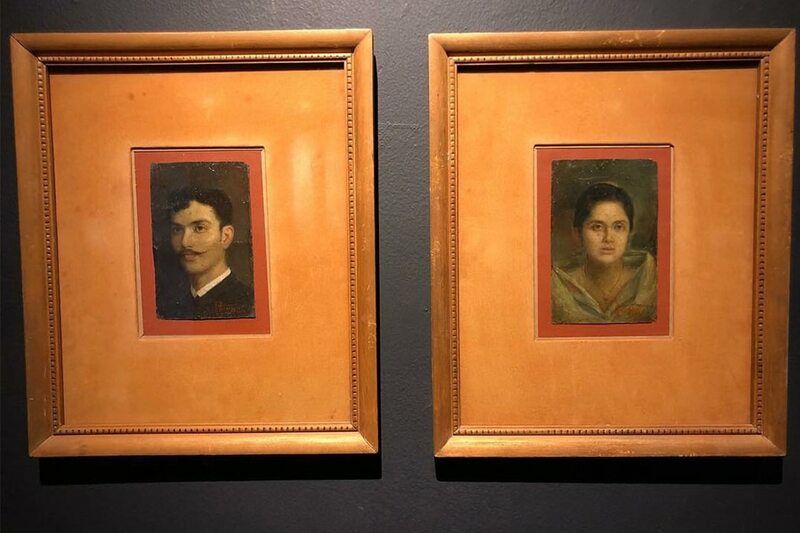 A pair of Amorsolo portraits dated 1914, possibly the earliest works of the National Artist offered at auction. As I note the presence of new, anonymous faces, I spot the usual suspects: some come as mere spectators whose attendance certainly add prestige and a seal of approval to the affair; others serve as advisers to auction virgins; and the rest are really in it for the game, their paddles—and checkbooks—ready and waiting. And then there are the curious folk: like the heiress and businesswoman hiding behind her dark, thick-rimmed designer sunglasses. Or the lady who, preoccupied as she is scribbling notes on her auction guide sheet, was also clutching a rosary which she would pause to kiss. Lot 118, which consists of a declaration, a document, and a hand-drawn map of North Cavite all by General Artemio Ricarte. Still the mood was upbeat, even festive. Besides, the main event that afternoon, really, was the contentious sale of what León describes as ‘important’, ‘exceedingly important’, and ‘extremely historically important’ documents and artifacts. 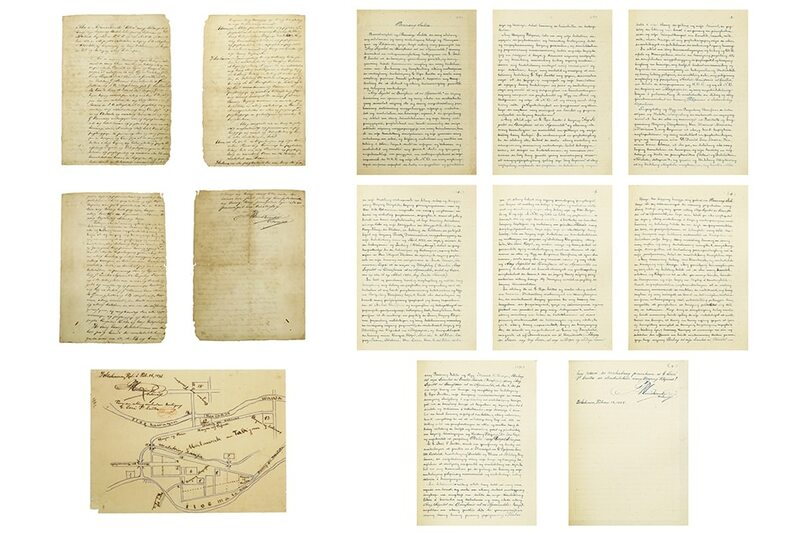 These include Lot 117, an anonymous letter of a Katipunero to D. Ysidra S. Jose, relating the ‘secret’ causes of the feud between Aguinaldo and Bonifacio; Lot 118, which consists of a declaration, a document, and a hand-drawn map of North Cavite all by General Artemio Ricarte; Lot 119, the Acta de Tejeros (Tejeros Proclamation) signed by the Katipunan Supremo himself, Andres Bonifacio; Lot 120, the Acta de Naik (The Naik Military Agreement) also signed by Bonifacio; Lot 121, the dagger of General Manuel Tinio; and Lot 122, the piece de resistance, the telegram from Emilio Aguinaldo that summoned General Antonio Luna to his death. 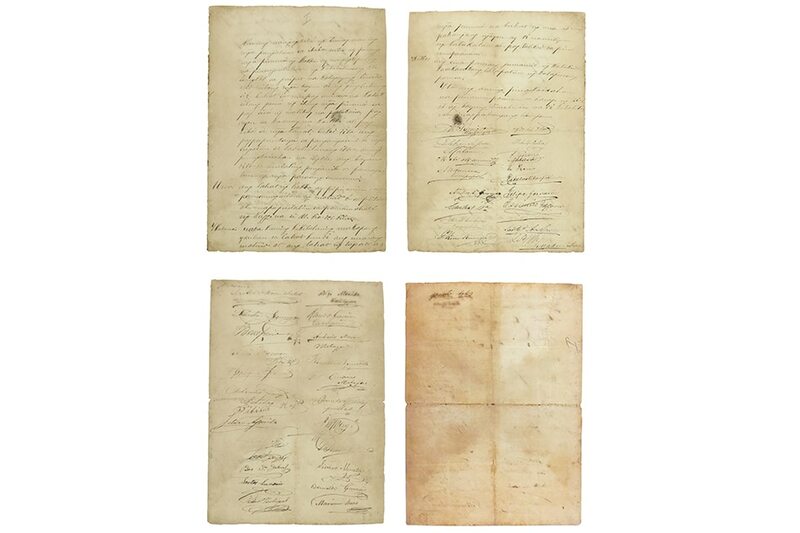 Lot 120, the Acta de Naik (The Naik Military Agreement) also signed by Bonifacio. 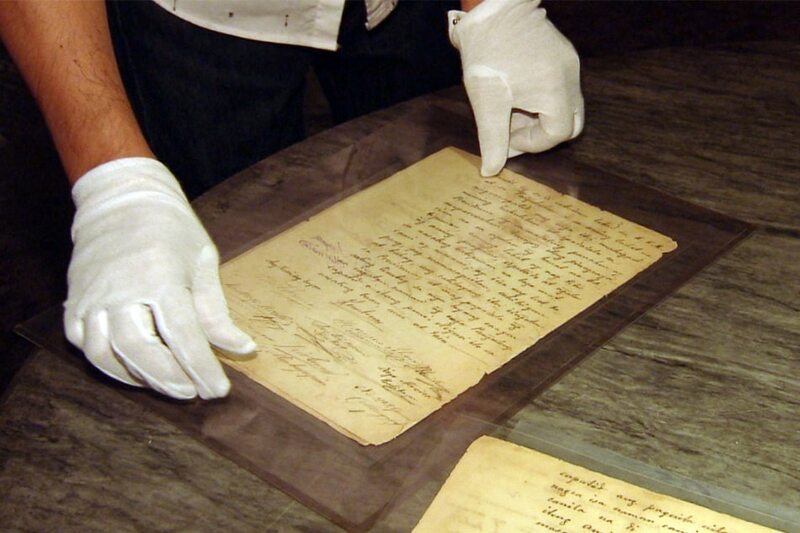 Lot 122, the telegram from Emilio Aguinaldo that summoned Heneral Antonio Luna to his death. Of these, it was really with lots 118, 120 and 122 where the bidding got really spirited, a civilized volley—punctuated by applause and cheers from onlookers—between some determined male bidders in the room against “the madame at the back,” an equally determined and bespectacled lady at the far end of the room, who was on the phone bidding on behalf of a mystery buyer. She successfully bid for all lots. Who was the obviously moneyed buyer who bought all these historical items? 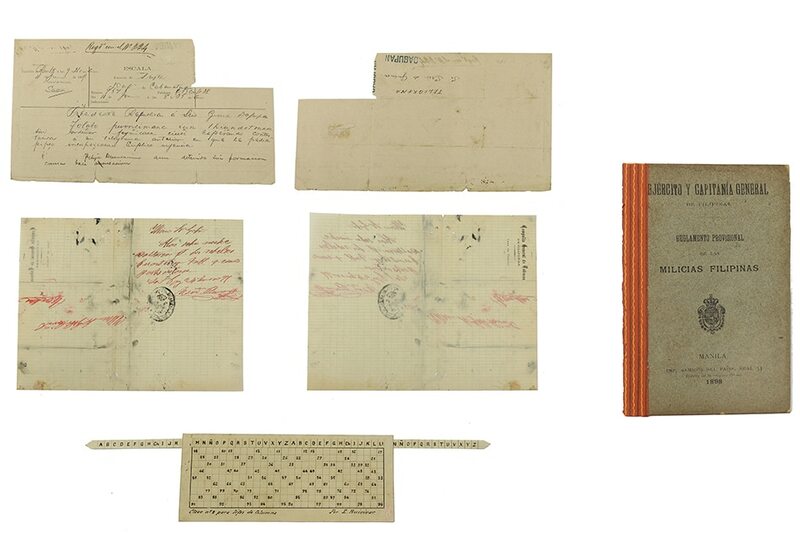 What motivated the family that held these documents for years to consign them to an auction house? Will the time ever come that government will have the muscle and wherewithal to acquire such artifacts that should ideally be made available to the public? Rare Bencabs for his first Larawan show in '72 staged at the Luz Gallery. This much talked about Kingly Treasures edition clearly raises a lot of questions and has sparked serious debate. Hopefully, as we ponder on the issues it has brought forth, we learn the lessons of the past and not be doomed to repeat them. Hopefully, too, the next time items significant to our nation's narrative surface in the market, they end up in museums where the public can access them, and not with mysterious personas hiding behind their eyewear.